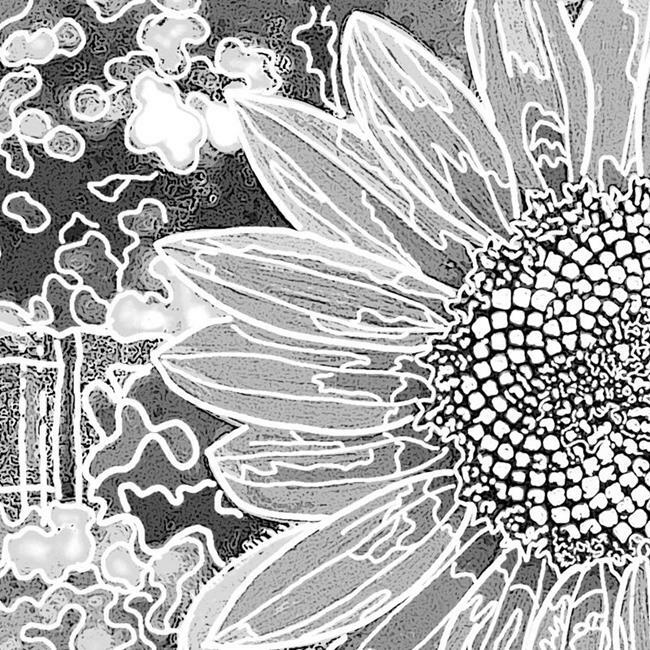 This is a digital photo I took of a sunflower I grew in my backyard. I was fascinated by the pattern and detail of the seeds developing in the center of the flower, so I took a close up shot. Instead of the usual bright yellow, I wanted to see the stark contrast of the flower details against the background of my yard. I desaturated the photo, applied some digital effects, and then painted on top of the photo with my tablet PC.